John Carpenter is possibly (probably, almost definitely) the greatest horror craftsman in (relatively) modern cinema. Other directors might have been more consistent, or made more famous, less cultish films, or accrued a great deal more money at the box office, but have any of them ever expressed the same kind of holistic, unique, utterly specific voice across the entire body of their work? No. John Carpenter is the tireless warrior of horror – in fact genre cinema in general. The distinct, stubborn visionary who refuses to be swayed by trends, tropes, or anything resembling ‘the way things are done’. He’s always made his films his way, and every single one, whether shocking, schlocky, pioneering or pulpy, has always felt entirely, belligerently, wonderfully its own beast. Kurt Russell once said that he only has to look at a frame of one of Carpenter’s films to know who made it, and as a long-time fan, I’m inclined to agree. The reason is hard to put a finger on. There isn’t any one, obvious, John Carpenter visual gimmick, as you’ll often find in the films of, say, Tim Burton, but there is a texture. And indefinable but unmistakable feel of Carpenterness that permeates everything he puts on screen. But that was actually a somewhat mis-phrased line, because it’s not just what you can see that makes a John Carpenter film so special and distinct. 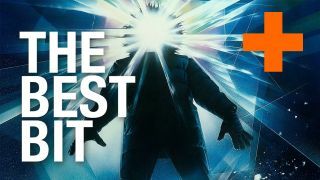 Supporting, surrounding, if not shaping and defining the dense, gritty, bleak, and strangely luxuriant beauty of a John Carpenter film is the soundtrack. Always composed by Carpenter himself – at least during the classic, 16 film, ’74 – ’94 period that encompasses his best work – this simple level of multidisciplinary control exemplifies how engrossed Carpenter is with his craft. A John Carpenter film is a John Carpenter film. He takes charge of their entire form and tone in a way no other director does. But dear Lord, what a tone. Because however low-budget, glossy, coarse, or high-brow any given Carpenter film might be – and he’s done all, several times over – the fact is that each one ultimately feels like all of these things at the same time. Those abrasive, but desperately moody synth notes, those swirling, ambiently sinister keyboard lines, those simple but insistent, ice-hot-needle-to-the-brain riffs, they all add up to make the films they infect much more cohesive, much more coherent and much more affecting, all-pervading works. They raise up the inglorious up to the level of the dignified, noble and profound. They defuse any Hollywood gloss with a thick, tar-like layer of dirty, cloying pungence. They take great, fun, well-made films and elevate them to the level of crafted works of art. On a cursory listen, in isolation, it’s easy to write off John Carpenter’s music as samey, synth gloom, but you’d be foolish to do so. Because while there is a similar aesthetic running through the majority of Carpenter’s musical work – and that’s actually no bad thing when we’re talking about authorship – he knows exactly how to retune it to dig endless layers of texture out of each specific film, from crust, to mantle, to core. There’s the way the iconic, needley riff from Halloween – with all of its uncomfortable, disorienting tension - gives way to that unfathomable black ocean of bass, as endless, unassailable, and cold as the night. Or elsewhere, there’s the way that Escape From New York’s main theme blends stark, spartan, apocalyptic minimalism with defiant strains of hope. Or the way that Prince of Darkness is just an insistent, stalking, glorious, ascendant nightmare of a thing. Every single score understands, embraces and amplifies the precise essence of the film it envelops in a way that few film soundtracks ever manage so accurately. Because only John Carpenter truly understands the essence of the film at hand. Because he’s the one making it. I was recently lucky enough to see a whole barrage of John Carpenter’s themes performed live, by the man himself. It was a fantastic evening, full of celebration and ebullience, and if you get the chance to see him on tour, I’d highly recommend it. But what really made it special was the montages of each film he played on-screen, short, abridged versions of each movie, taking in all the key scenes and most iconic imagery. Seeing those films like that, with their soundtracks live and empowered like never before, really hit home how fundamentally entwined the visuals, the fabric, and the music are in a John Carpenter film. Not separate elements running parallel, all three are parts of the same whole, merged, resonating, and entirely of each other. Very few directors ever achieve that. Very few directors manage to fill their films with that sort of completeness, that sort of vision, that sort of potency. But then, very few directors are John Carpenter.